Lifting the JPMorgan CEO’s compensation 35 pct to $27 mln may seem tin-eared with shares down some 12 pct last year and staff pay flat. But most of the award is tied to future results, a concession to investors that brings the bank in line with peers. Call it a raise with teeth. 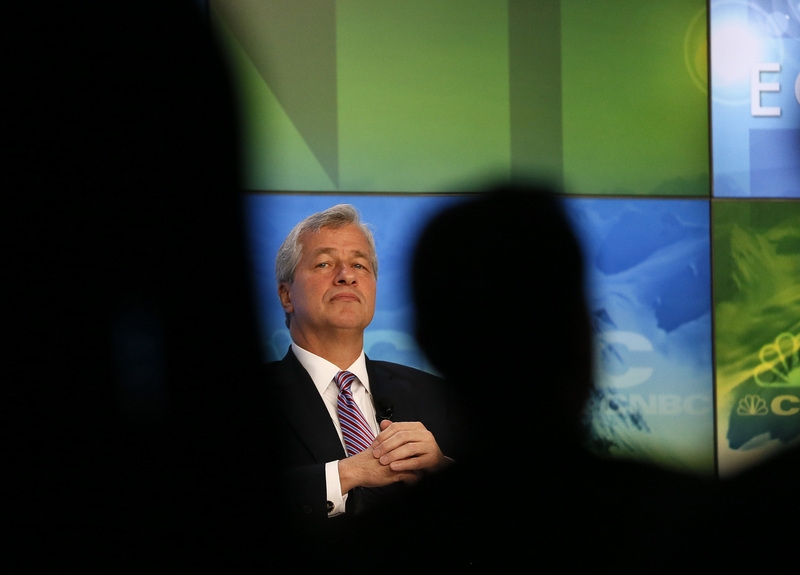 jPMorgan Chase & Co CEO James Dimon is seen in between the audience as he attends a session during the annual World Economic Forum (WEF) meeting in Davos, January 23, 2013. JPMorgan raised Chief Executive Jamie Dimon’s 2015 compensation by 35 percent to $27 million, but reduced the cash portion and tied three-fourths of the total to performance share units whose valued depends on future results, according to a Jan. 21 filing with the U.S. Securities and Exchange Commission. The bank put Dimon’s base salary at $1.5 million, the same as in 2014, and set his variable compensation at $5 million in cash and $20.5 million in the performance share units. A year earlier the cash portion was $7.4 million, and $11.1 million of stock came in more secure restricted stock units.